This End User Licence Agreement (EULA) sets out the terms of licence and use that apply to this application (and any update/upgrade to it) that we make available for download from any third party application store (the Harris+Hoole App). Your consumer account and the services we offer and provide through the Harris+Hoole App are subject to the separate Consumer Account Terms and not this document. The Harris+Hoole App is powered by Yoyo Wallet Limited (we, us and our). See About us for further details of who we are. The Harris+Hoole App is provided for use only in relation to offers, promotions, rewards, goods or services offered by or purchased from Harris+Hoole retail outlets operated by Caffè Nero Group Limited and its subsidiaries and affiliated entities that accept the Harris+Hoole App. It cannot be used elsewhere or in relation to offers, promotions, rewards, goods or services offered by or purchased from other merchants. Where the word “Merchant” or “Merchants” is used in this document, it refers to such Caffè Nero Group Limited entities. BY DOWNLOADING, ACCESSING AND/OR USING THE HARRIS+HOOLE APP, YOU CONFIRM THAT YOU ACCEPT AND AGREE TO BE BOUND BY THESE TERMS AND ACKNOWLEDGE THAT THEY CONSTITUTE A LEGALLY BINDING CONTRACT BETWEEN US AND YOU. IF YOU DO NOT AGREE TO ALL OF THESE TERMS, YOU ARE NOT PERMITTED TO ACCESS OR USE THE HARRIS+HOOLE APP, AND YOU SHOULD NOT PROCEED FURTHER. We reserve the right to change the terms of this EULA from time to time by notifying you (with the updated terms being displayed on-screen or with a link to the updated terms) when you next start the Harris+Hoole App. The Harris+Hoole App is free to download. In order to use the Harris+Hoole App for the purposes it is intended for, you will need to have a consumer account ("Account"). It is free to open an Account and you can do so by providing the registration details requested. The Harris+Hoole App is intended for use only by persons who are at least 16 years of age. By using the Harris+Hoole App, you confirm to us that you meet this requirement. The Harris+Hoole App may only be downloaded, accessed and used on a device owned or controlled by you and running the relevant operating system for which the Harris+Hoole App was designed, so you must make sure you have a compatible device which meets all the necessary technical specifications to enable you to download the Harris+Hoole App you wish to download and to access and use the downloaded Harris+Hoole App. 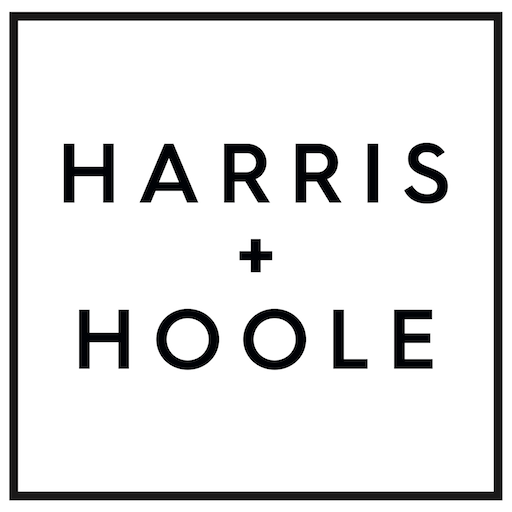 You will be assumed to have obtained permission from the owner of any device that is controlled, but not owned, by you to download the Harris+Hoole App to that device. You accept responsibility, in accordance with this EULA, for all access to, and use of, the Harris+Hoole App by you on any device, whether or not it is owned by you. You acknowledge that the mobile service provider for the device to which you download, or on which you access or use, the Harris+Hoole App may charge for internet access (including mobile data usage) on that device. We cannot and do not guarantee the continuous, uninterrupted or error-free operability of the Harris+Hoole App or that the Harris+Hoole App will respond at a certain speed (since this depends on a number of factors outside our control). To avoid doubt, your Account, and the Harris+Hoole App, is operated by Yoyo, but we have no responsibility for any offers, promotions, rewards, goods or services offered by or purchased from the Merchant. You may only use the Harris+Hoole App for non-commercial, personal use, and only in accordance with this EULA (and in accordance with any applicable terms of any relevant third party service provider for the device to which you download, or on which you access or use, the Harris+Hoole App) and only for lawful purposes (complying with all applicable laws and regulations), and in a responsible manner. Subject to the following sections, you may retrieve and display content from the Harris+Hoole App on a mobile device and store the Harris+Hoole App in electronic form incidentally in the normal course of use of your mobile device. To do anything with the Harris+Hoole App that is not expressly permitted by this EULA, you will need a separate licence from us. Please contact us, using the Contacting us details at the end of this EULA. Certain third party platform providers with whose devices and/or operating systems the Harris+Hoole App has been designed to be compatible oblige us to include certain additional provisions in this EULA. These are set out at the end of this EULA under Additional third party terms. These provisions come from the relevant third party platform providers, not us. Third party application stores are operated by the relevant third party platform providers and/or their affiliates. You must comply with all applicable terms of service, rules and policies applying to any third party application store from which you download the Harris+Hoole App. We are not responsible for these stores or (with the exception of the Harris+Hoole App) for anything provided by them and do not guarantee that they will be continuously available. We license, but do not sell, to you the Harris+Hoole App you download. We remain the owner of the Harris+Hoole App at all times. All intellectual property rights in the Harris+Hoole App and in any content of the Harris+Hoole App (including text, graphics, software, photographs and other images, videos, sound, trade marks and logos) are owned by us or our licensors. Except as expressly set out here, nothing in this EULA gives you any rights in respect of any intellectual property owned by us or our licensors and you acknowledge that you do not acquire any ownership rights by downloading the Harris+Hoole App or any content from the Harris+Hoole App. The Harris+Hoole App may contain code, commonly referred to as open source software, which is distributed under any of the many known variations of open source licence terms, including terms which allow the free distribution and modification of the relevant software’s source code and/or which require all distributors to make such source code freely available upon request, including any contributions or modifications made by such distributor (collectively, Open Source Software). Please note that, to the extent that the Harris+Hoole App contains any Open Source Software, that element only is licensed to you under the relevant licence terms of the applicable third party licensor (Open Source Licence Terms) and not under this EULA, and you accept and agree to be bound by such Open Source Licence Terms. A copy of the source code for any Open Source Software contained in any Harris+Hoole App and the relevant Open Source Licence Terms will be made available to you upon request. You agree that downloading, accessing and use of the Harris+Hoole App that is made available for download free of charge are on an 'as is' and 'as available' basis and at your sole risk. We reserve the right to change the design, features and/or functionality of the Harris+Hoole App by making the updated Harris+Hoole App available for you to download or, where your device settings permit it, by automatic delivery of updates. You are not obliged to download the updated Harris+Hoole App, but we may cease to provide and/or update content to prior versions of the Harris+Hoole App and, depending on the nature of the update, in some circumstances you may not be able to continue using the Harris+Hoole App until you have downloaded the updated version. Whilst we try to make sure that content made available by the Harris+Hoole App consisting of information of which we are the source is correct, you acknowledge that the Harris+Hoole App may make content available which is derived from a number of sources, for which we are not responsible. In all cases, information made available by the Harris+Hoole App is not intended to amount to authority or advice on which reliance should be placed. You should check with us or the relevant information source before acting on any such information. Except to the extent that the Consumer Account Terms apply or as otherwise expressly set out in this EULA, we make or give no representation or warranty as to the accuracy, completeness, currency, correctness, reliability, integrity, quality, fitness for purpose or originality of any content of the Harris+Hoole App and, to the fullest extent permitted by law, all implied warranties, conditions or other terms of any kind are hereby excluded. Use of your personal information submitted to us via the Harris+Hoole App is governed by the Transparency Statement. Additionally, by using the Harris+Hoole App, you acknowledge that internet transmissions are never completely private or secure and that it is always possible that any message or information you send using the Harris+Hoole App may be read or intercepted by others. The Harris+Hoole App may, from time to time, include links to external sites, which may include links to third party offers and promotions. We include these to provide you with access to information, products or services that you may find useful or interesting. We are not responsible for the content of these sites or for anything provided by them and do not guarantee that they will be continuously available. The fact that we include links to such external sites does not imply any endorsement of or association with their operators or promoters. Subject to the next paragraph, you agree that any dispute between you and us regarding these terms or the Harris+Hoole App will only be dealt with by the English courts, except that if you live in a country (which, for these purposes, includes Scotland or Northern Ireland) of the European Union other than England, you can choose to bring legal proceedings either in your country or in England, but if we bring legal proceedings, we may only do so in your country. Your use of any real time route guidance functionality of the Harris+Hoole App is at your sole risk. Location data may not be accurate.